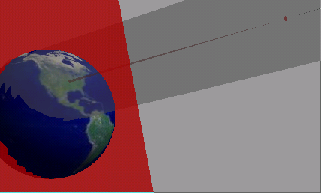 The eclipse viewer shows a scale model of the earth and the moon during a solar eclipse. 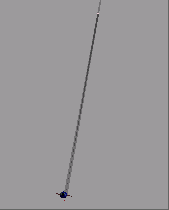 The correct shadow geometry and position are emulated, along with the correct rotational position of the earth. The eclipse viewer allows you to fly in real-time to any point in the earth-moon system to view the event. You can choose to see any one of several recent eclipses, and can alter the timescale to speed up or slow down (or play in reverse) any part of the chosen eclipse. 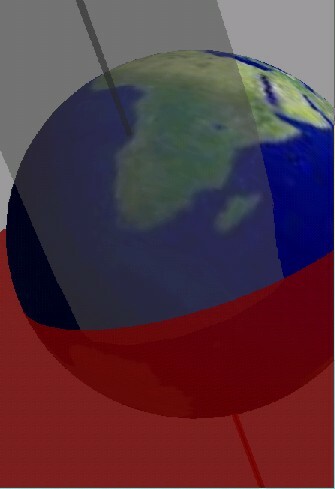 The eclipse in Africa on June 21, 2001 can also be viewed. Not all of these pages are ready yet! 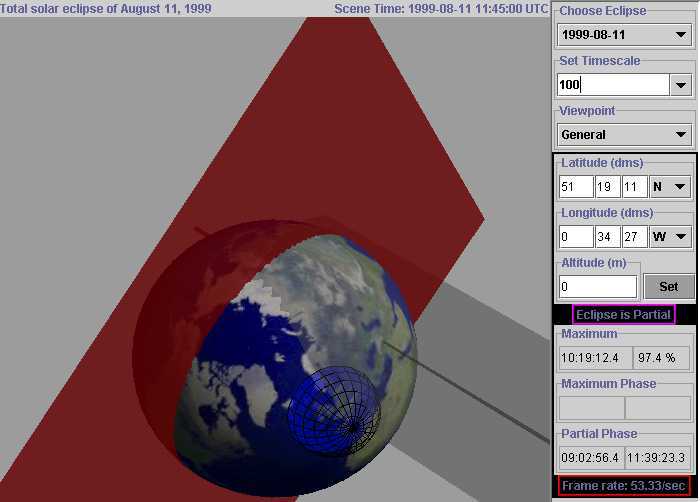 You can set an 'observatory dome' at any position on the earth's surface, and then fly into it to see the eclipse as it would appear from that location. 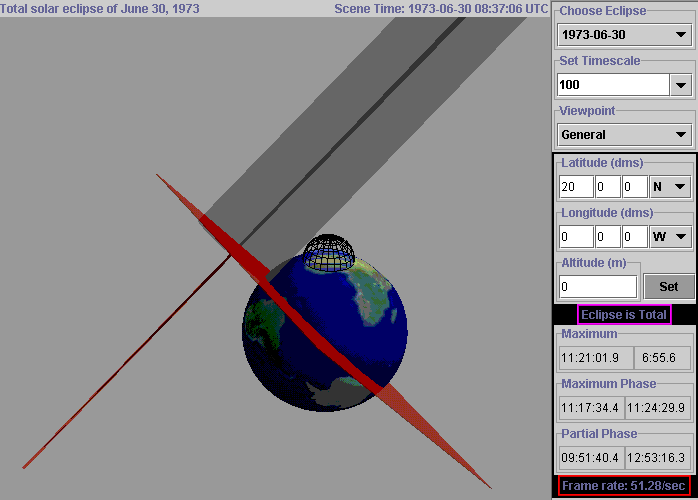 Local circumstances for the observatory's latitude and longitude are displayed, using the same coding that is in the eclipse calculator. The strange blue carbuncle (even more noticable on the shot below) is the observatory dome, positioned in this view on top of my house in England. Note that this is still an early implementation, and there are some bugs and limitations in the system. In the next version, the options for setting your viewpoint will be much better, and you will be able to move 'back' far enough to see the whole sun-earth-moon system. The positional accuracy will be improved (currently, the umbra position can be up to a few kilometers off due to some simplifications). The calculator does not take these shortcuts, so the displayed contact times should be accurate to better that .2 seconds. I will post the java code here as soon as it is stable enough. Please contact me if you would like more information about this system. This was one of the longest eclipses possible, at over 7 minutes. Note how long the umbral shadow is.